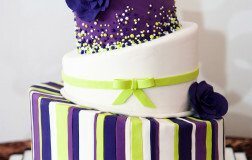 Be the first to review “Bold Statements 18” Click here to cancel reply. 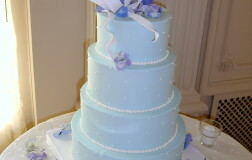 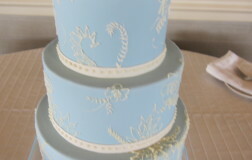 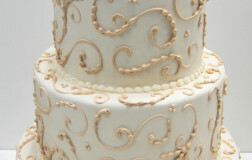 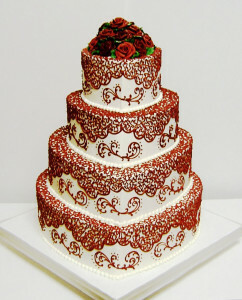 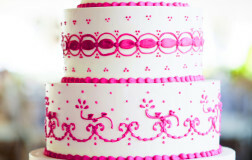 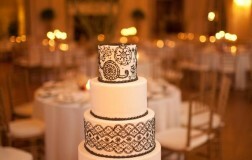 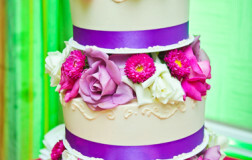 Shown is a small four tier wedding cake that is designed with a scroll pattern. 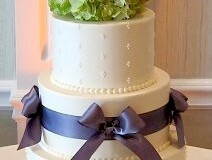 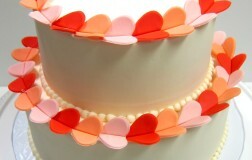 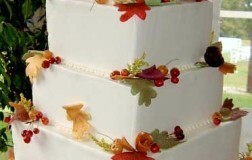 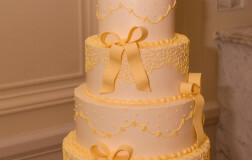 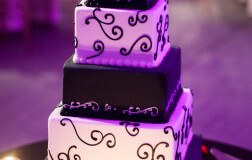 This is quite a distinctive wedding cake in both color and style. 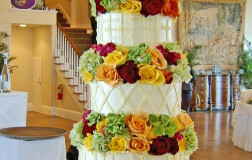 This cake was featured at the Newport Yachting Center in Newport, RI. Look at how incredibly delicious this cake looks. 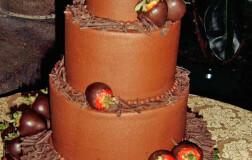 It is screaming decadence; chocolate cake, chocolate shavings/sticks and chocolate dipped strawberries. 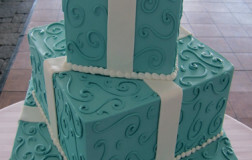 Don't you wish you could have some right now! 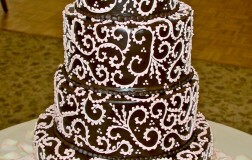 Although this cake was designed many moons ago, it is still striking and makes a grand presentation. 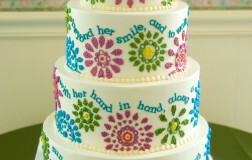 This cake design is for the light-hearted and whimsical couples who are not afraid to express their personalities in their cake design. 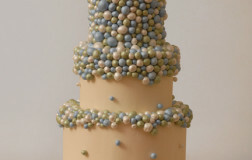 This fun cake was designed for the beautiful union of two loving hearts and their wedding cakes was created especially for the occasion. 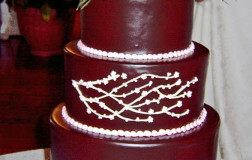 The design was inspired from their wedding invitation. 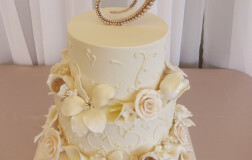 Look at how rich and decadent this cake looks!